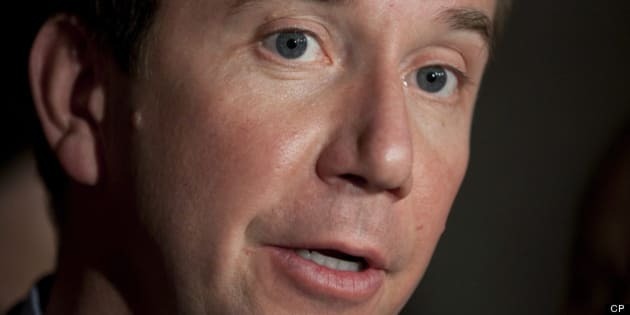 The federal government must do more to create jobs and meaningful work experience for youth who are being left out of the economic recovery, says Liberal MP Scott Brison. Brison held a news conference in Ottawa Wednesday to talk about how a weak labour market is not only hurting youth, but their parents, who are dipping into their savings and retirement funds to help their struggling children. Brison said tuition, food, transit, rent and other costs have all been going up while student debt levels remain constant. The average post-secondary graduate carries $28,000 in student debt. "Who is picking up the tab? It&apos;s middle-class Canadian parents and in many cases grandparents who are stepping up to financially support their adult children," he said. The unemployment and underemployment rates for youth have long-term consequences in terms of wages because it takes years to catch up, Brison added. "The Liberal Party is calling on the government to recognize the depth of this problem. The persistent lack of opportunities for youth in Canada is having a far-reaching and long-lasting consequences for an already struggling Canadian middle class," Brison told reporters. "It&apos;s not only scarring a generation of young Canadians, it&apos;s also contributing to higher household debt and poor retirement savings for their parents," he added. "It&apos;s time for the government to take this issue seriously and provide meaningful support for Canadians who are struggling," said Brison.